Creative VJ – Make music for your eyes! Creative VJ course – Learn to be a VJ! At the crossroads between DJing, live cinema and the visual arts, VJing is truly a 21st century art form. A creative practice originating in club culture, we now see VJs in a wide range of venues, from art exhibitions to box-office theatres and of course music events. VJs most often create live performances using video to create a heightened experience of music. This course is for people seeking to capture a comprehensive first glance at the art of VJing, from its history to its technical tools and managing VJ-specific projects and budgets. 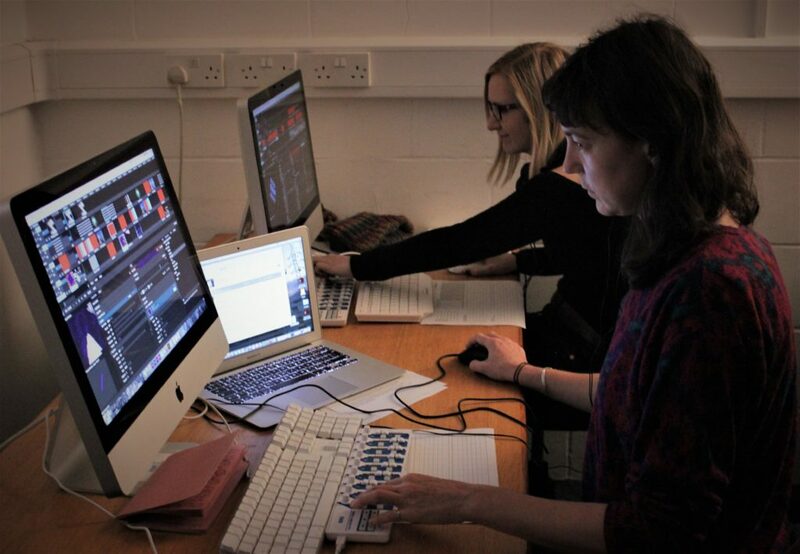 This two-day intensive course is led by Michelle Ferguson & Tony Coleman (theLABVisuals), a duo based in Leicester UK. Introducing the skills involved with VJing, Michelle & Tony will clarify the process of working with VJ-specific hardware and software to produce generative content, and use it in a spontaneous and dynamic way. Learners on this course will look at the basic techniques of VJing, as well as tips and tricks to quickly become self-sufficient at creating, experimenting and performing with visuals. In addition, organisation methods and codes of practice will be suggested to give learners a head start when interacting with musicians, promoters and venue managers. A big part of being a successful VJ is working as a team with other players in the clubbing and live arts industries. Wikipedia on VJing – “VJing is a broad designation for realtime visual performance. Characteristics of VJing are the creation or manipulation of imagery in realtime through technological mediation and for an audience, in synchronization to music” … or a better definition: “Make Music for Your Eyes”! Tony first caught the visuals bug with the beginning of the Commodore 64 demo scene, hanging out with the prolific demo scene creators Ian & Mic in Basildon in the 1980’s and feel in love with electronic music throughout the same period. Utilising a Commodore Amiga he created his own software and produced VHS video cassettes to mix at a local nightclub and decided he wouldn’t pay to get into another venue again (something he’s achieved to date). Michelle has been a creative writer and performer for over a decade. Producing her own projection mapped theatre as well as performing live at many events throughout. Together they perform at many cross-genre events and pride themselves on their hands on approach to playback. Further Credits include The Brickworks, Detonate, Detonate Festival, Shambala Festival, Green Meadows Festival, Toxic Orange, Secret Garden Party, El Dorado Festival, London Warehouse Events, Spectrum, Next Door, Global Gathering UK, We Are FSTVL, Glastonbury Festival, Shangri-La, Ministry of Sound, Eclectricity, Drop Beats Not Bombs, Firefly to name but a few. 25% discount on Resolume avilable to those who take the course. 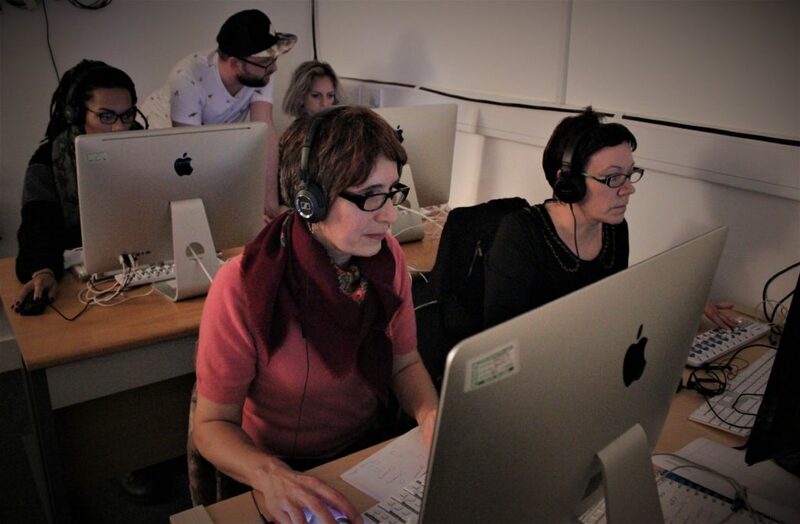 No particular experience is required to join the course, although a working knowledge of computers is essential, as well as a genuine enthusiasm for working with moving images in a musical context. 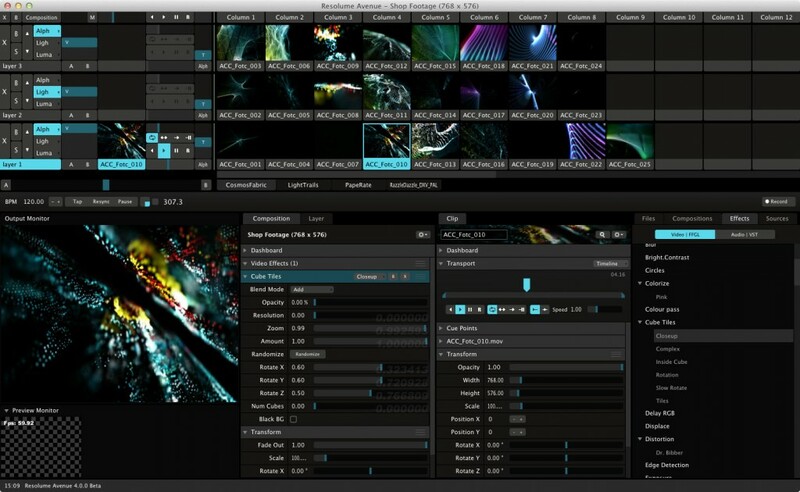 Attendees will be given a 25% off discount code for Resolume VJ software, (as used on the course). 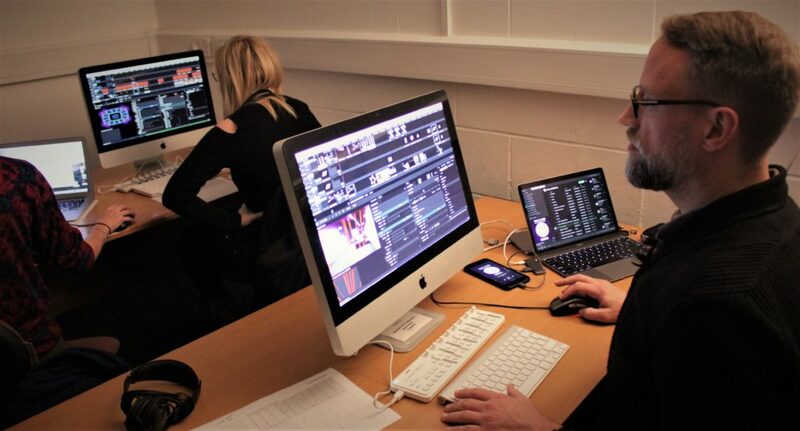 Students can bring their favourite digital music & photos for building a personal VJ set on the second day’s course. They will also be provided with a large collection of moving images to work with. They will also have the opportunity to import their own video material, but they must be in specific formats and codecs (you will receive guidance on this on the first day). – Each learner performs individually or in teams, to the music of their choice. M.K. – Exactly what I hoped from the course!